The arcade version of Super Street Fighter IV features characters that are not in the console version. That might change. 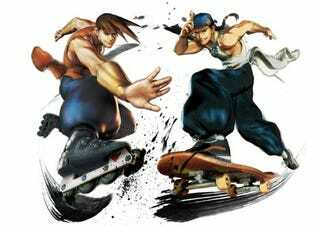 Producer Yoshinori Ono tweets that he has written a proposal about downloadable content for Super Street Fighter IV. He adds that he is heading to Capcom USA's San Francisco office, presumably to pitch the idea. Here's his original tweet: "Just now, I had written proposal about DLC for SSFIV ae's PSN,XLB at last. I'll go to Sanfrancisco on tomorrow !! CAPCOM USA exist in SF. ;D"
Why wouldn't Capcom release the Super Street Fighter IV arcade extras as DLC?